We have a new puppy, Elsie. Well, we have had her for several months now, but I haven’t posted. 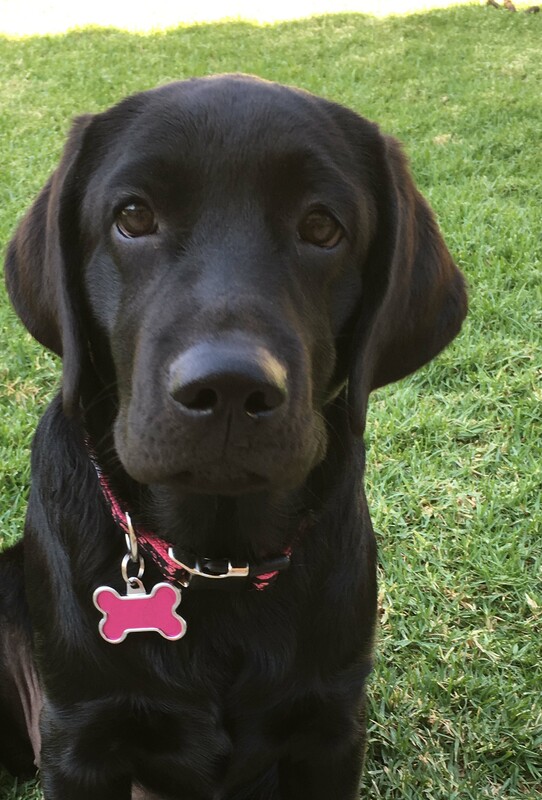 She is now about 10 months old and is a super adorable English lab. We have had her since August, we got her when she was about 4 months old. She has been a lot of work, but we have almost made it through the hardest part of puppy ownership. I wont go as far to say she is obedient, but she does listen most of the time to what we ask. She completed a puppy class, Beginning Obedience and Intermediate Obedience classes. Elsie knows many things, and if I have treats she will perform pretty much flawlessly. But during a normal day, and when treats are not involved, she is no longer focused on me or what I ask of her. Yes, she will sometimes listen but as a whole she is more focused on whatever toy, rock, stick or random thing she has found outside. She goes to doggy daycare once a week. Elsie is super social and loves all dogs – and loves people, too! Lately, however, she has started to growl at new people – but just for a minute and then she wants to kiss them and play with them. Best part of being a lab is that she is not aggressive at all to dogs or people! Elsie is a big girl. She weighs about 70 pounds right now. She could probably use a little dietary restriction. Problem mainly is that I broke my foot about 4 months ago and our exercise routine was greatly impacted! I just recently got out of the boot and can walk her again – so we will get a lot more exercise now and hopefully that will thin her out a tiny bit. Previous PostMy sweet boy is not doing so wellNext PostElsie is 1 year old now!